To those not familiar with this site, I am old Jack a professional wood worker with 30 years’ experience. I Once did a review of the best router bit set in America. I however feel that there is need for a more “use” specific router bit set review. I am not going to introduce the general best router bits today, for that refer to my previous article here. A router is a versatile power tool all you need is to change the bits. In this article I am going to talk about router bits for raised panels and cabinet doors. Today Let us walk through router bits for raised panel/cabinet doors. I am going to produce a series of articles for each of the particular uses I listed above. Router bits for raised panel / cabinet doors. Raised panels (pictured above) are a classic feature in cabinets, doors, bathroom doors etc. To make these we use special type of router bits. In the past we used to make this feature using hands. There are two types of router bits for raised panel routing. These are horizontal and vertical router bits. Horizontal router bits are bigger than vertical ones. As a result, for safety reasons Horizontal router bits are operated at lower RPM’s than vertical ones. This means that one requires a router with adjustable speed to operate horizontal router bits. Horizontal vs vertical? To be honest most professional handyman prefer horizontal router bits. The reason being that they deliver better quality cuts. But for entry level craftsmen I strongly recommend vertical router bits. I have noticed that they are more user friendly. And they don’t need one to buy a variable speed router. Vertical router bits are also more affordable. Even though vertical router bits have poorer performance. One can greatly improve it by making multiple passes to make the completed profile. Secondly installing a taller fence and a taller feather board. A combination of these three qualities can make a world of difference. You maybe wandering what happened to the bits with a back cutter. Old Jack does not see them as a special type rather than just a sub group of horizontal ones. I describe back cutter router bits as horizontal bit with another set of cutters placed to cut a rabbet in the back panel if the panel at the same time the face profile is cut. Application: Ideal for creating raised panels for doors and paneling, decorative plaques, and molding. According to my experience this is the best raised panel router Bit in the market. Freud 3-1/2” (Dia) Raised panel Bit with ½” shank (99-518) stands out for a number of reasons I am going to discuss below. This type of router bit is suitable for professional craftsmen. Firstly, Freud is a reputable brand in the US as well as Globally. During use this router bit performs very well. I remember recently using it to curve through oak this shows strength of the 3-1/2inch. Moreover, I have also noticed that this particular router bit makes very smooth cuts. The cuts are so smooth that I won’t be needing to use sand paper which saves both money and time. As if that’s not enough the router bit is designed to cut into a variety of materials namely composite, plywood, softwoods, hardwoods. Another reason why this router bit is number 1 is that Freud implemented cutting edge technology during the manufacturing process. The first one being kickback reducing design. This design contributes to a safer working environment. Another important feature is the computer balancing done by Freud to the router bit. This ensures vibration fee cuts. A bit out of balance is bound to vibrate and chatter. This is can be dangerous and can compromise the quality of work. Furthermore, to achieve top quality Freud used unique carbide formulations. This is very important because other manufactures use off the -shelf carbide which is not specifically designed for wood cutting applications. As a result, the bit will not be able to maintain proper geometry or sharp edges. However, with the 3-1/2”s unique formulations one is guaranteed good performance for a reasonable time. My experience with this tool has been largely positive, I however would like to point out two areas of concern. Firstly. this is very heavy router bit and this can slow down the router’s speed significantly. As a result, if one uses a lightweight router to achieve smooth cuts you have to make about three passes. Secondly the router bit is so robust that it can blow up a lightweight router. The Freud 3-1/2” (Dia.) Raised Panel Bit with 1/2” Shank (99-518) has a 5-1/8inch variation called the code( 99-519 ) I wont be reviewing it because its practically the same router bit. The Freud Raised panel bit with Backcutters (99-569) is the second best router bit in the market. With its price, the (99-569) is a high-end bit. I advise buying it for money making purposes. Material: Tico high density carbide. The first reason for the high rank is the very high-quality cuts it produces. This is attributed to several factors which I am going to explain below. Freud’s exclusive Quadra-Cut™ 4-cutter design provides the smoothest cuts possible. You’ll get crisp, clean edges every time, even with cross-grain cuts in difficult materials. Use this panel raiser to mill panels from 3/4″ stock that are flush with the door frame for a professional, architecturally correct appearance. The cove profile raised panel bit also includes a back cutter to cut the relief so the panel fits into the groove. This means there’s no need to plane panels down to 5/8″, saving wear and tear on your machinery. Shims are included to allow adjustment of tongue thickness from 7/32″ to 1/4″ for maximum versatility and compatibility. 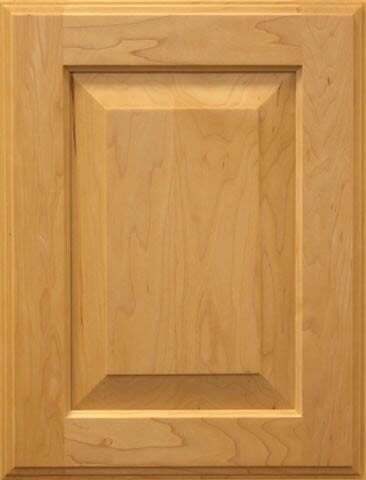 There are patented features which enable one to produces a full 1-1/2″ wide reveal for traditional raised panel door. This is wonderful tool but I have a few concerns. The first one being that it lacks a bearing. This makes it impossible to used on an arched panel. Secondly, it’s a very heavy tool so it becomes slow on a lightweight router. Thirdly if you have a powerful router the Freud 99-569 needs to run at a slow speed and take three passes otherwise you might end up burning the wood through friction. Lastly the price is very steep, for a single router bit. Application: Ideal for cabinet doors and panels. Description: Whiteside Machine Company has been in the router bit business for over 30 years providing customer with quality products while at the same time striving to achieve complete customer satisfaction. They make some of the best router bits in the market. The Whiteside 5952 is an exceptional tool. It’s the deserving challenger for the Freud router bits occupying first and second position. The first reason for the high rank is the high quality of this particular router bit. Whiteside 5950 is made from high grade carbide. This means that it can maintain its geometry for very long time. During use the router bit is well balanced even at high RPM’s. This is attributed to precision grinding during the manufacturing process. An unbalanced router bit poses the risk of vibrating during use. This can have undesired consequences which include possible injury to the user and making inaccurate cuts. reasonable investment is for the quality the Whiteside 5950 offers. This is wonderful tool but I have only one concern. If you are in the state of California you will realize that Whiteside router bits fall under the P65 regulation. For more information refer to http://www.p65warnings.ca.gov. Let me just clarify what this means. The first thing is that one has to always wear eye and ear protection along with dust masks. Secondly, re-grinding of Whiteside router bits will produce dust of potentially hazardous ingredients. I hope I have given a comprehensive review of raised panel router bits. For how to use router bits properly, check out this article. Next time old Jack is going to continue the five part series with a review of Rail and style router bits.